Interests: Cooking, baking, dancing, volunteering with kids, trying new things, and bringing out the best in people. Career Goals: I want to work for a company that values my opinion, and have a job that I am excited to go to everyday. Also, I want to specialize biomaterials or biomechanics and be able to make a difference in people's lives. Interests: First of all: SWE!! When not doing thing with the amazing women of this organization, I enjoy spending time with friends and participating in water sports such as swimming, surfing and water skiing. Career Goals: I hope to one day work in a lab doing research and development or process support. Interests: Rockets, space, theater, dance and classical music. Career Goals: To do space vehicle design, concentrating in astronautics. Interests: Traveling, anything outdoors, going to Gator football games and hanging out with friends. Career Goals: My goal is to work in the aerospace industry and to work at the forefront of innovation. Interests: Cooking, baking, photography, trivia, listening to music and playing video games. Career Goals: I want to go to grad school and specialize in biomaterials and tissue engineering. After grad school I want to find a career that allows me to make a difference in people's lives. Interests: Going to the gym, watching anime, listening to KPOP and sleeping. Career Goals: I would like to go to medical school. Interests: I love being ACTIVE! Some of my favorite workouts include participating in 5ks, long distance cycling, playing volleyball, and swimming. Reading and doodling are also some of my favorite hobbies. I enjoying trying new restaurants, traveling, scorching my skin to a burnt crisp at the beach, and attending concerts (I once drove to Atlanta, GA, from Gainesville in ONE NIGHT to see my favorite band). ​Career Goals: Within materials science, I am most interested in the biomaterials and polymers realm. After graduation, I'd like to work in a lab and do research, eventually moving up the ladder to be Head Scientist of my company. Working for Brammer Bio, Zimmer Biomet, or RTI Surgical is the dream! I also plan on getting my MBA, because I love the business side of engineering. After working on the technical side of things, I eventually want to become a sales engineer, because I love communicating and connecting with people. Planning a start up company would be a lot of work, but it'd be fun to call all the shots.... who knows! Interests: Running, cooking, baking, scuba diving, going to the beach, spending time with friends and finding new restaurants around Gainesville! ​Career Goals: My goal is to go into industry after graduating. I would love to work on prosthetic devices or go into manufacturing. Interests: I love chemistry, enjoyed working on a Rube Goldberg last year, and I am interested in learning more about engineering. I also like to play field hockey, learning new things, hang out with friends, and go on outdoor adventures (hiking, beach, zip lining, ect.). ​Career Goals: I want to work in industry once I graduate and later on receive my MBA. I'm not sure which field I prefer yet, but that's why I like chemical engineering so much! The options are unlimited, but what interests me the most would be working in pharmaceuticals or in a chemistry-based field. Interests: Watching the Office, listening to music, dancing and zumba, meeting new people, trying new foods, and discovering new places. ​Career Goals: I aspire one day to work as an Industrial Engineer within a large tech-oriented company, with Google or Microsoft being my dream companies. on the day-to-day scale, my goal is to continually improve myself as a professional engineer and engaged member of society. Interests: I love to sing (even though I am not that great), Gator football, baking and painting. ​Career Goals: I am still not sure exactly what I want to do but I have always been interested in designing prosthetic joints. I really want to do something to help other people and make a difference! 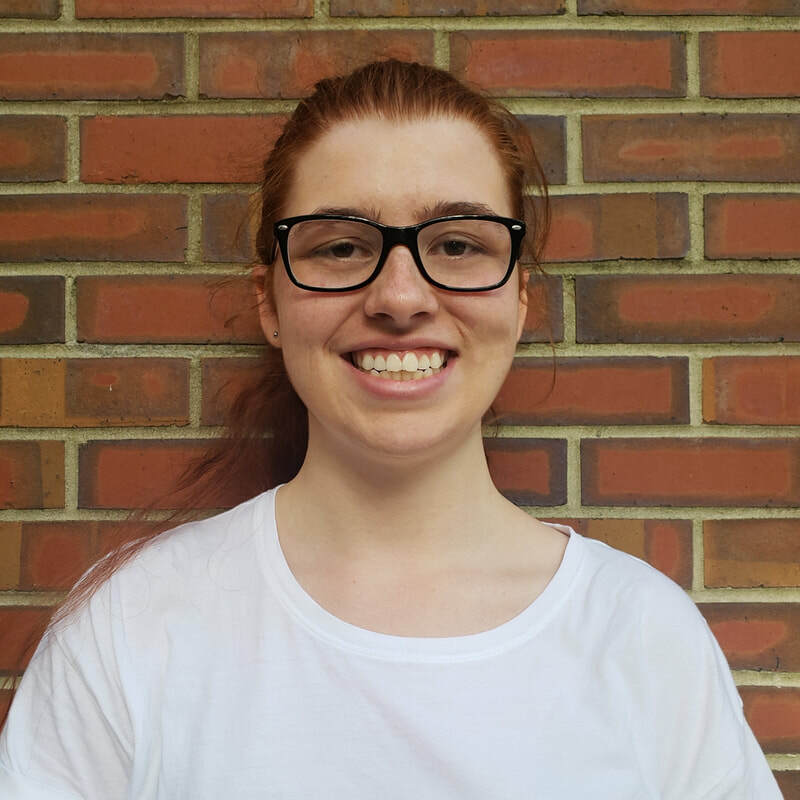 Interests: Assistive technology, hardware, computer science, and helping others through mentoring. ​Career Goals: I'm still learning and growing, so I'm not sure that I know what I'd like to end up doing. However, it would be my dream to work for Intel or Microsoft. Interests: Calligraphy, tinkering with electronics, learning about new technology, and researching everything! ​Career Goals: To work for an electronics company and learn the ins and outs of the silicon technology that drives our daily lives. Interests: Traveling, writing, chemistry, football, and most importantly, spending time with friends and family - the people I love most. 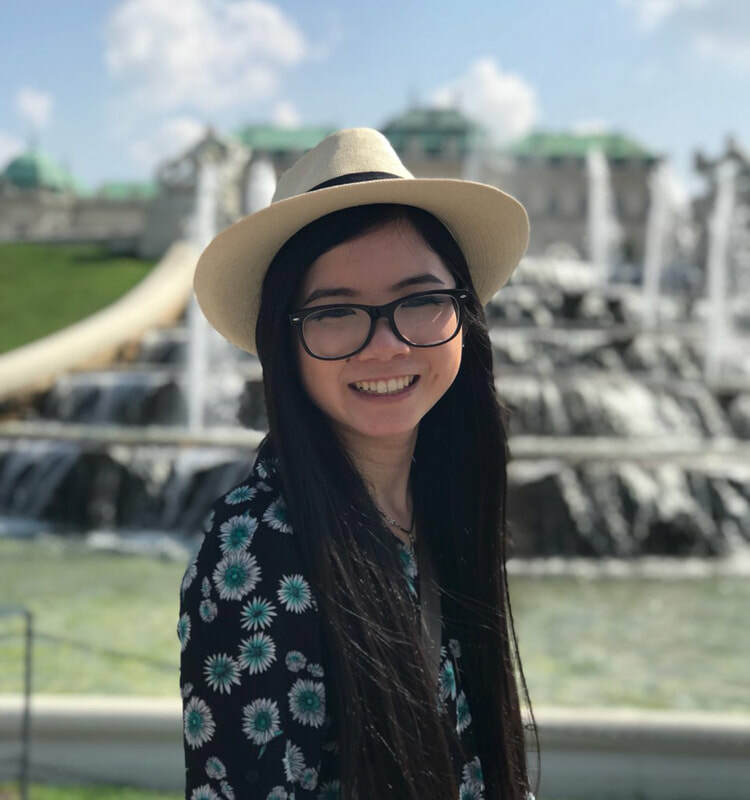 ​Career Goals: I am most interested in the chemical and polymers side of Materials Engineering, and I hope to work in the industry or for a lab that deals with that aspect of the field! Most importantly, I just want to be able to do a job that I love. 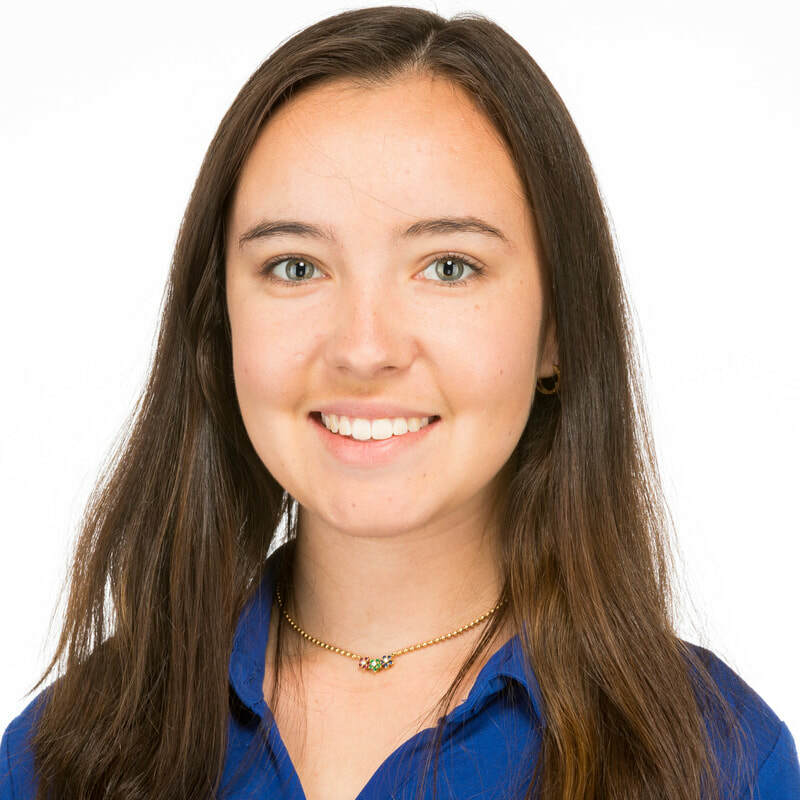 Interests: Academically, the use of sustainable materials and methods in hard infrastructure and the environmental history of Florida. Outside of academics, playing the piano, photography, and dancing strangely in fitness classes. ​Career Goals: I plan on pursuing a master's degree in environmental engineering or public health (after all, environmental engineering was first know as sanitary engineering) and eventually working for a regulatory agency or for a private consulting firm. In my work, I'd like to concentrate on innovating and implementing sustainable methods of infrastructure and reducing hazards to human health in the environment. Interests: Spending time with friends an family, traveling, trying new foods, cuddling with my dogs, watching and studying films, and creative writing in my free time. ​Career Goals: I plan to focus on biomaterials and pursue a Master's degree, possibly in biomedical engineering. Overall, I aim to apply my engineering skills and degree to veterinary medicine in order to help both animals and people. I've always held a passion for animals and find there is a small sector of engineering jobs, or education, that focuses on veterinary medicine or animal sciences. 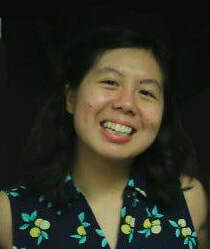 Interests: I have worked in restaurants and bakeries so I LOVE baking and cooking whenever I am free. Not only that, but I love watching cooking and baking shows! (My personal favorite is The Great British Baking Show; feel free to talk to me about it whenever you see me) Outside of baking, I enjoy going on adventures and exploring what there is to see! lastly, naps. I really really like naps. Can I take two naps in one day? I will sure try. ​Career Goals: I wish to find a Research and Development position in the field of Materials Engineering with a company that fosters growth both personally, and within the company.